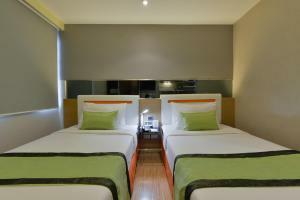 iCheck inn Regency Sukhumvit is located on Sukhumvit 41, a 5-minute walk from Phrom Phong BTS Skytrain Station, Emporium Mall and Benjasiri Park. 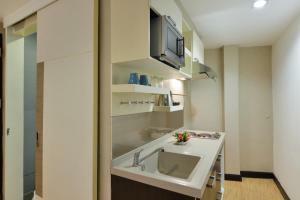 It offers guest rooms with kitchenettes and free WiFi. 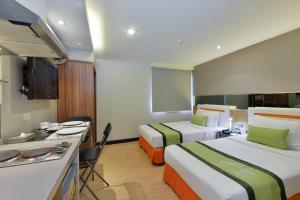 iCheck inn Regency Sukhumvit is 20 km from Suvarnabhumi International Airport. 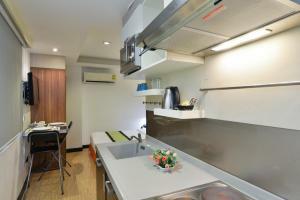 A supermarket is conveniently located just 200 metres from the hotel. 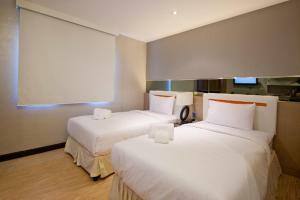 Rooms at iCheck inn Regency Sukhumvit feature modern Thai décor and a cable/satellite Internet TV. 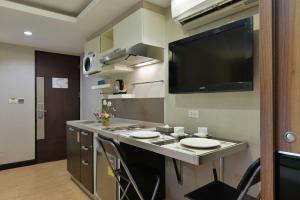 A tea/coffee maker and microwave can be found in all rooms. 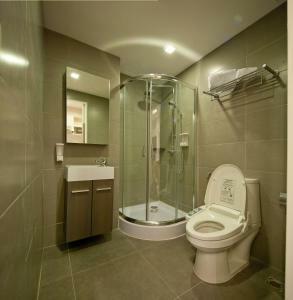 En suite bathrooms come with a shower and automatic toilet. 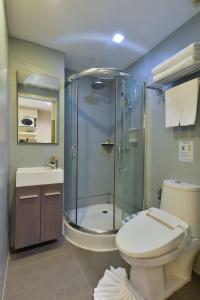 For added convenience, the hotel also provides laundry services. A daily breakfast is served at the hotel’s restaurant. 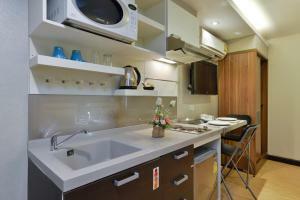 Offers a flat-screen cable Internet TV, a kitchenette and an en suite bathroom. 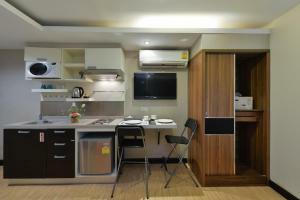 Rate: THB 1016.73 ... THB 1709.10; select dates below to get current rates.